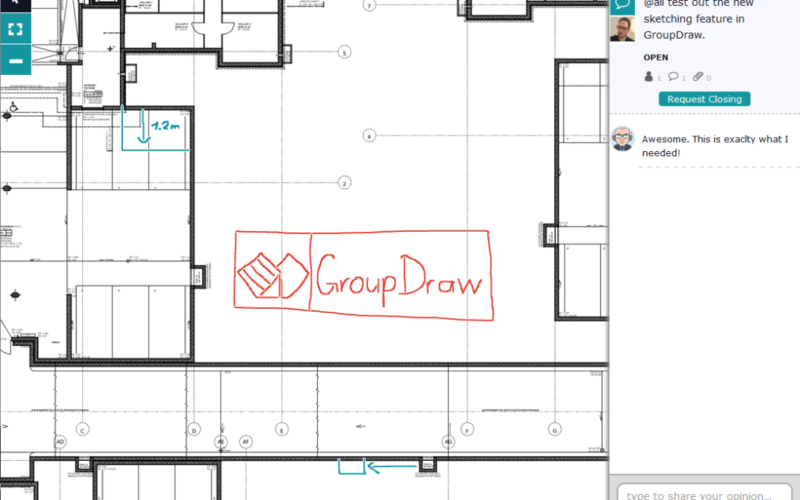 Many customers asked for basic sketching functionalities to indicate inputs visually. We listened and added this feature for you. Now you can place as many marker and lines as you like when starting a discussion which allows you to draw all kind of stuff. Have fun and enjoy the upgrade.